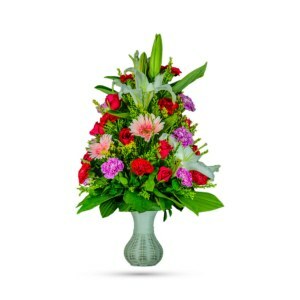 Take a blazing ride into summer with our bouquet, Summertime Happiness! Sun-bright yellow, hot red and white blooms add up to a sensational and ready-to-burst summer floral arrangement for any occasion. 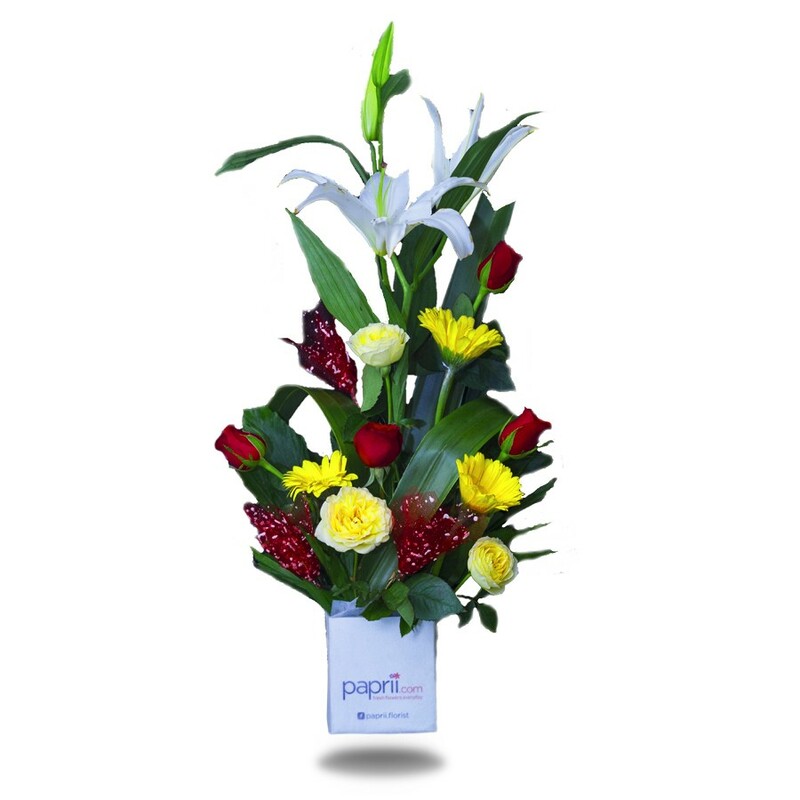 Hot red and blazing yellow/white roses are mixed with white asiatic lilies, yellow gerberas and fresh-cut greeneries in a cube cardboard vase. 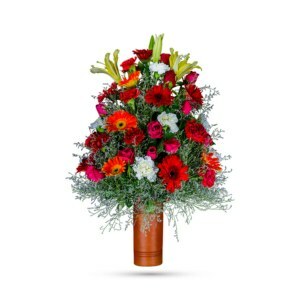 Flowers full of summertime joy are always in style. 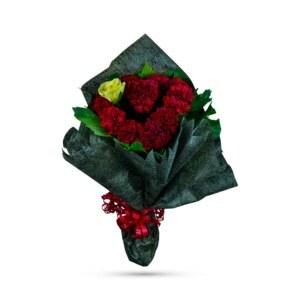 Celebrate any ordinary day, anniversaries and birthdays with our sun-kissed bouquet. 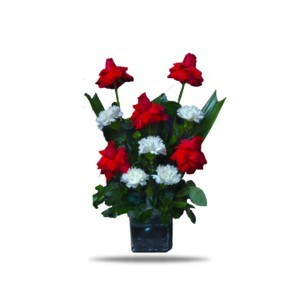 It can be ordered online on our website and will be hand-delivered to your doorstep. Order in style!